Good friend of mine whom owns an appliance store just became a dealer for green mountain grills. I ordered the table top version "Davey Crockett" to take in the camper which is only 20" high in storage mode. Aquaman has one for awhile and loves his! I only wish my GTown had a taller basement storage! I have to shoehorn it in, but it does fit! 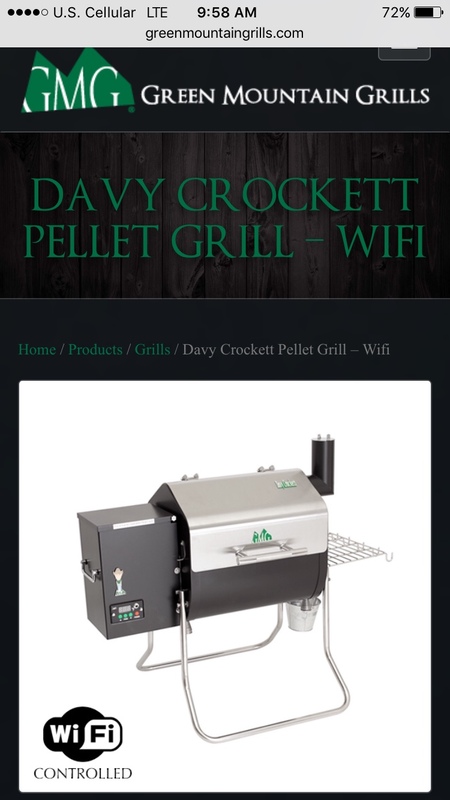 You can control the entire grill from your smart phone and have send you alerts when food hits a certain temp. I tend to forget when we're camping (drinking). Cut a bigger hole Tim! You know I've done this before, right? Why do you think I suggested it! would be if I had a side job selling Awning Pole Kits !!! LMAO !!! Besides I would then have to go buy a Smart phone !!! lol That's funny right there!